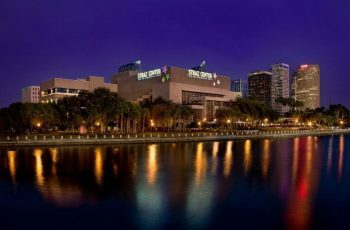 The David A. Straz, Jr. Center for the Performing Arts, a landmark in Tampa, FL, is situated in the hub of the growing cultural arts district. This theater is easily visible from nearby highways and throughout downtown thanks to the eye-catching custom LED signage on the exterior of the building. 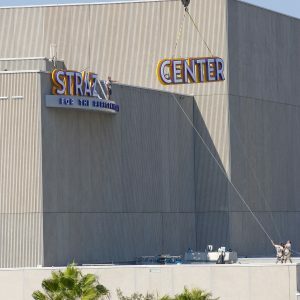 Creative collaborated with the Straz Center and the Toppe Consultants to consult, design, fabricate and install the custom signage and LED channel letters as part of the building’s rebranding. 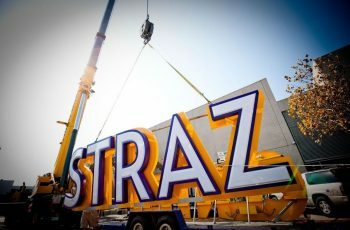 When the David A. Straz, Jr. Center for the Performing Arts decided to rebrand its building, they trusted in the turnkey capabilities of Creative Sign Designs to accomplish the project. Creative’s team worked with Architect John Toppe of Toppe Consultants, Inc. and Lorrin Shepard, senior vice president and chief operational officer of the Straz Center to develop and design signage concepts to match their vision. 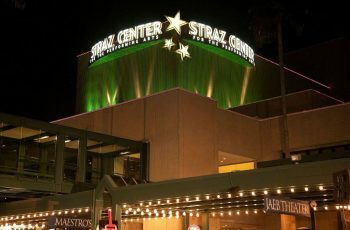 Creative provided all exterior signage for the project, including four sets of illuminated channel letters, internally-illuminated stars on two different elevations of the performing arts center and a 16 mm full-color LED message board mounted on the center’s covered pedestrian walkway. 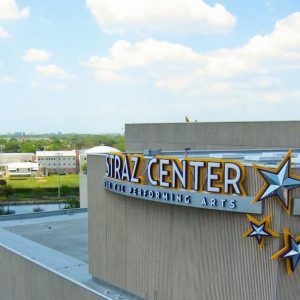 The design of the exterior signage includes illuminated channel letters spelling out “Straz Center” and is flanked by illuminated stars on either side. 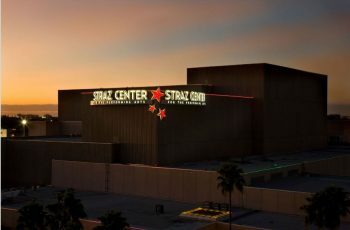 Each of the letters and stars on the building are internally illuminated using RGB LED lighting, which enables transitions between a spectrum of colors. 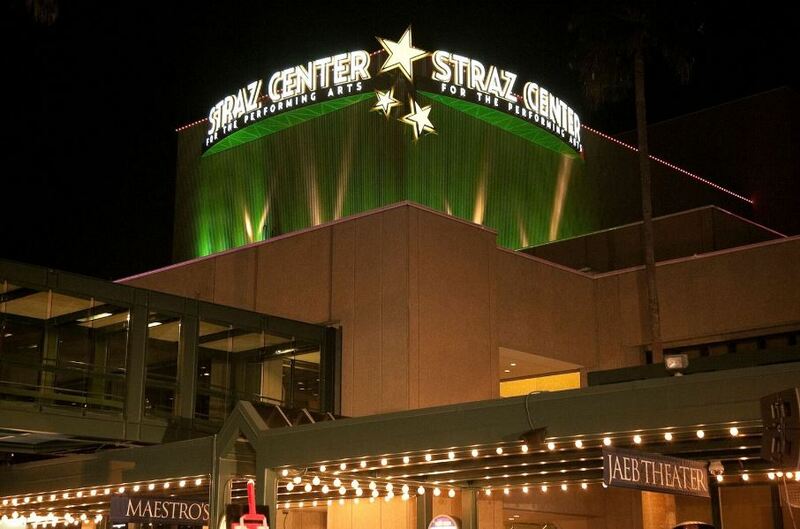 The Straz Center has been a staple in Tampa’s downtown since 1987 and with the completion of this rebranding, its presence in the area was elevated even more as a visible landmark in the booming downtown area. The signage for the Straz Center project required 100 gallons of paint, 33,000 pounds or more than 16 tons of aluminum that end-to-end is a distance of 3 miles, and enough LEDs to light up a one-mile stretch of road. The team devoted more than 20,000 hours to the fabrication of the signage required for this project in order to successfully meet the client’s desired completion date. Other organizations included in the cultural arts district are the Glazers Children’s Museum, Tampa Museum of Art and Curtis Hixon Waterfront Park. Creative Sign Designs is proud to have provided custom signage solutions for each of these local community partners as well. 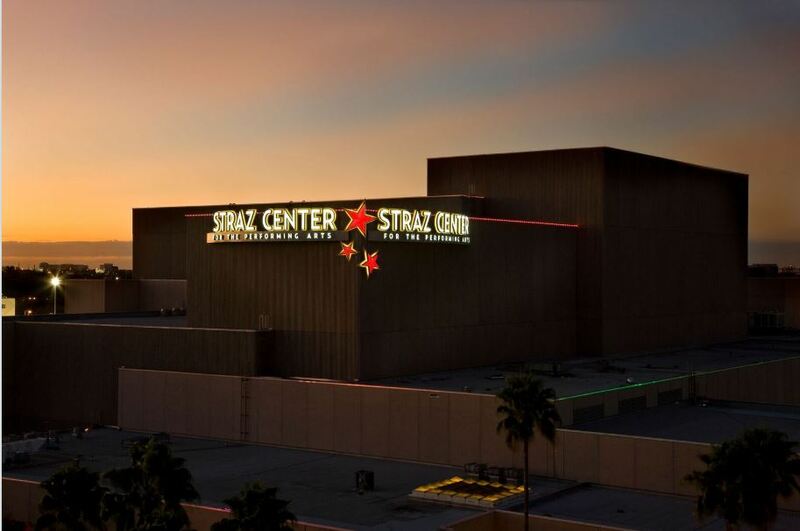 The addition of the Straz Center’s LED channel letters completes the cultural arts district.